In the last 30 days, my team has written and published over 75,000 words! That’s a 10X increase in the productivity of our content marketing. There are two reasons for this exponential growth: Process and People. There’s no doubt my team has stepped up their game up during our 90 day challenge. And you can’t become more productive without people who are willing push the limits! But, the biggest change we’ve made has been to our overall process. In our recent Behind the Scenes posts, I’ve shared how we’ve improved our content planning. You’ve also seen our project management upgrades. Today, I’ll take you behind the scenes of our content writing process. And I’ll show the steps and tools we’re using to write 10 times more than we ever have before. Trying to create 90 days of in-depth, information-packed content has put a bit strain on my team. We’re a small group, with a lot of projects going on in addition to our content marketing. So we’ve tried to find simple ways to exact efficiency anywhere we can. 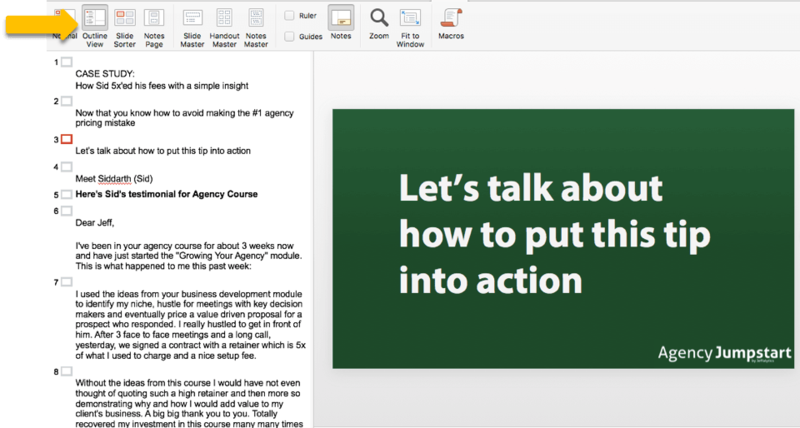 One improvement we’ve made is to create a comprehensive content outline in PowerPoint. The outline helps focus our video production, and it also guides our writing process. Once our video is done, we move our PowerPoint outline into WordPress. We use the outline to create a shell for our blog post. This shell serves as a guide for our writers when they go into WordPress to start crafting our posts. 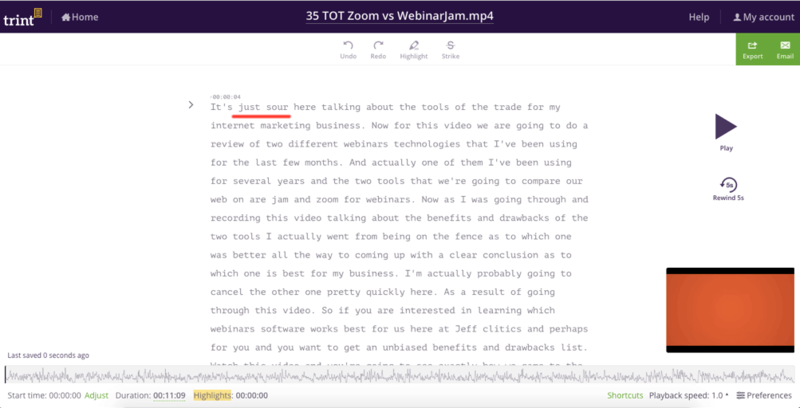 For some of our posts, we use Trint to transcribe the audio from our video footage. The transcriptions aren’t perfect. Sometimes I fail to enunciate my words. And other times the video narrative doesn’t translate directly to the written word. Also, Trint thinks my name is “Just Sour.” I’m not sure if this is on me or the transcription robots – but either way, I now have a complex about saying my own name on camera. 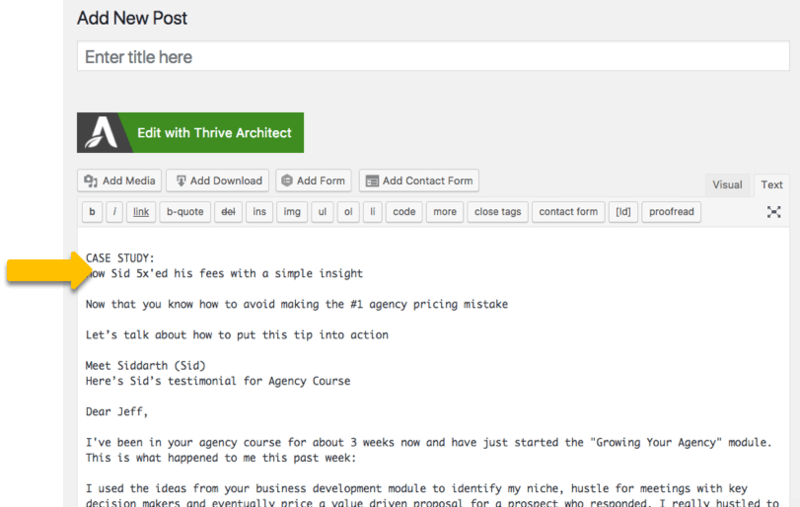 For posts like our Tools of The Trade series, Trint helps us cut a lot of time out the content writing process. This stage is where copywriting plays a big role. My raw video footage, our outline, and the transcriptions are helpful. But none of those things are substitutes for strong creative writing. Our copywriters have to dig in and turn each of our videos into a story and a tutorial. This process can be grinding. When you’re churning out an average of 2,500 words a day (across blogs, emails and social media), you have to find ways to keep your writing efficient. 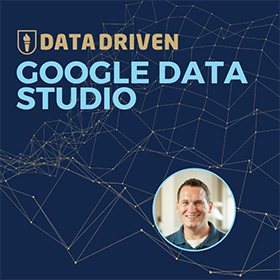 It’s hard to avoid wordy writing when you’re blogging about topics like cross-domain tracking or AdWords budget optimization. Hemingway App helps us our keep our prose simple. This Editor allows you to see how clear your writing is while your working. The Hemingway App has cut down our editing time down by 75%. Writing without images is boooooring! Super boring!! So even though we create a video for each post, we want to make sure we still have plenty of pictures. Each post needs a feature image. We also try to add helpful screenshots for all our tutorials. We use Canva to create feature images. Canva allows you to store image templates. These templates save us loads of time! Nothing slows down a page load speed like big images. We compress all our blog images using TinyPNG. Google Analytics screenshots aren’t exactly the most exciting images. We use CloudApp to create simple annotations and helpful text callouts. We use in-content calls-to-action (CTAs) to help grow our email lists. These opt-ins also help us segment our lists. 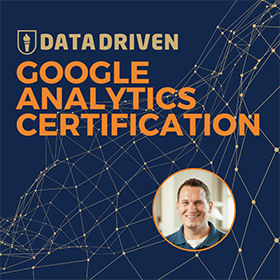 We send Analytics emails and posts to people who want to know about Google Analytics. 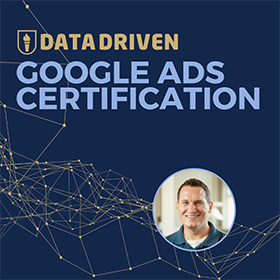 PPC emails to people who want to learn about AdWords. And, we send 90 day challenge emails to people who we’ve tagged as having Ginormous Brains! If you have a superhuman cerebrum, feel free to opt-in to our 90 day challenge email list. In all, we maintain about seven weekly email lists. So emailing tacks on another 300 to 700 words of writing for each post and video we produce. Before we publish our videos, our writers chop up another 5,000 character post for our YouTube descriptions. Being thorough with our video descriptions helps our YouTube SEO. And it gives us another opportunity to add links to our courses, email lists, blogs, etc. How has the 90 Day challenged helped our content writing process? There’s nothing like pressure to make you adapt. Writing a new blog post every day has definitely forced us out of our comfort zone. This process has been kind of like a grueling hiking expedition. You scale the first steep hill quickly. Then you come down the other side, only to find yourself in a valley, looking up at another mountain. There are highs and lows. There are days packed with great results. And there are hours devoted to content that falls flat on its face. It’s pure determination that keeps us going. Also, a dose of constructive ignorance helps us block out anything that’s not related to our goals. We are still going strong. We are getting better and learning more about our team and our process every day. And that’s why you challenge yourself. To find just how much you can accomplish we you get rid of all the excuses!! This post and video was episode 43 in our 90 Day Challenge digital marketing series.